Supply Chain Management is an evolving field of study in which students can make a good career after finishing their graduation with a minimum score of 50%. A number of institutes across India are offering various courses in the study of Supply Chain Management. Supply Chain Management (SCM) is the management of materials, information, and finances during the process of their journey from supplier → manufacturer → wholesaler → retailer → consumer. It Supply chain management includes organising and combining the flow both within and among the entities. According to the experts, the ultimate goal of any effective supply chain management system is to minimise the use of records. In short; supply chain management puts together supply and demand management within and across companies. There are various institutes that offer courses in Supply Chain Management. These courses are offered at part-time mode, diploma level, certificate, post-graduate degree and post-graduate diploma levels. For admission to any of these institutes to take up the above-said programmes, candidates must have passed 10+2 level examination and graduation with at least 50% marks in aggregate from any recognised institution or a university. Indian Institute of Materials Management Mumbai. (i) M.Sc. Logistics and Supply Chain Management. (ii) Degree in Business Logistics. (iii) Degree in Advanced Logistics Management. (iv) Logistics Network Design and Supply Chain Management. (v) Degree in Transportation Career Management. (vi) Degree in Transportation Economics. (viii) Post-graduate diploma in Materials & Logistics Management. Students are advised to conduct thorough research before opting for any course or institute so that they get the best possible deal. 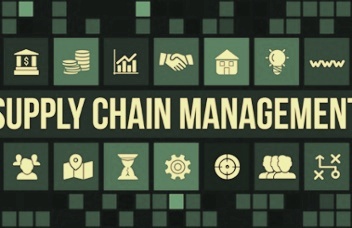 Next Article What is Supply Chain Management? How can I make a Career in SCM?